Who is to blame for latest capitulation? For the fourth time this season Everton threw away a two goal lead, this time losing out to West Ham, the Londoners picking up their first win at Goodison Park since 2005. The Blues capitulated in all too familiar fashion and you could sense the impending collapse as soon as West Ham scored their first. The crowd felt it was coming, the management tried to react (Gareth Barry’s introduction, which had no effect) and most worryingly of all, the players looked resigned to throwing away their hard earned lead. Of course there were mitigating factors. 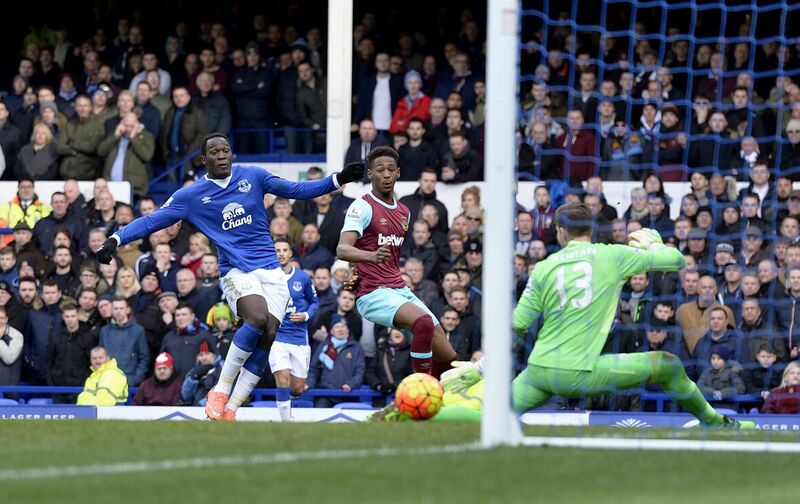 The Blues had played much of the match with 10 men following the sending off of Kevin Mirallas and a penalty kick from Romelu Lukaku could and should have sealed a comfortable and impressive victory, only for his lame shot to be easily saved by Adrian in the Hammers goal. Under these circumstances you would normally forgive all involved, but unfortunately this is not the first time Everton have lost points in this fashion and that is an indication of a far more serious issue. Bournemouth, Chelsea and Manchester City in the League Cup were the other occasions and let’s not forget the 3-2 lead against Stoke that turned into a 4-3 defeat. There is now something endemically wrong with the mindset of the Everton players. The players seem resigned to the inevitably of conceding late goals. Martinez must take a large share of the blame, but we cannot blame the manager for the players reluctance to put their bodies on the line. Let’s be honest, all three of the West Ham goals were avoidable. The Londoners simply had more desire to get to the ball first. Three areas where the manager most certainly can be blamed is fitness, tactics and game management. A team cannot conceded this many late goals without a huge question mark over their fitness, especially when the late goals represent such a large percentage of the total goals conceded. Everton have conceded 11 goals in the last 10 minutes of matches, which equates to 28% of all goals conceded this season. The stat is even worse if you extend it by just 2 minutes, with the Blues conceding 14 Premier League goals from the 78th minute onwards (36% of all goals against). The tactics for much of Saturday’s game were perfect, even with a man less Everton continued to control the flow of the game. The decision to replace Lennon with Niasse was however mystifying and smacked of a manager desperate to give his new signing time on the pitch. If Barry was not fit enough to play then Leighton Baines or Leon Osman should of been introduced. Both know how to see a game out and both would have delivered a similar work rate to the brilliant Lennon. I am an idealist and would much prefer it if Everton didn’t need to see a game out through the use of time wasting and other similarly snide tactics. Yet I have realised over the course of this season that this isn’t likely to produce results in the cut throat Premier League environment. In the desperate search for points, teams need to manage games and ensure the opposition do not have opportunity to edge themselves back into the game. Roberto Martinez however appears determined to stick with his ideology and no amount of pressure or dropped points looks to make a difference. Lady luck has certainly deserted the Blues this season. Everything is conspiring against Roberto Martinez at present and he will need a huge shift in fortune (and mentality) if he is to be in charge of Everton in 12 months time. Next Post No Mention Of A Bite/No Bite Here…. Martinez is out of his depth , his use of subs is mind blowing,the sooner he goes the better. To be fair West Ham are an excellent team with simply better players than us. We is everyone so surprised they beat us? They’re challenging for top for and we won’t get into Europa. Wake up. In Martinez I trust. Mirallas – idiotic. Does this too often. Got to go. Lukaku – what a lazy penalty. If he’d concentrated more – rather than try to look a cool dude – game over. Martinez – I’m a fan – but losing these leads has become worryingly common. You’ve lost 75% of the fans – in order to keep me you better spend all your future coaching sessions learning how to defend – and who and when to substitute – or I’ll have gone too.